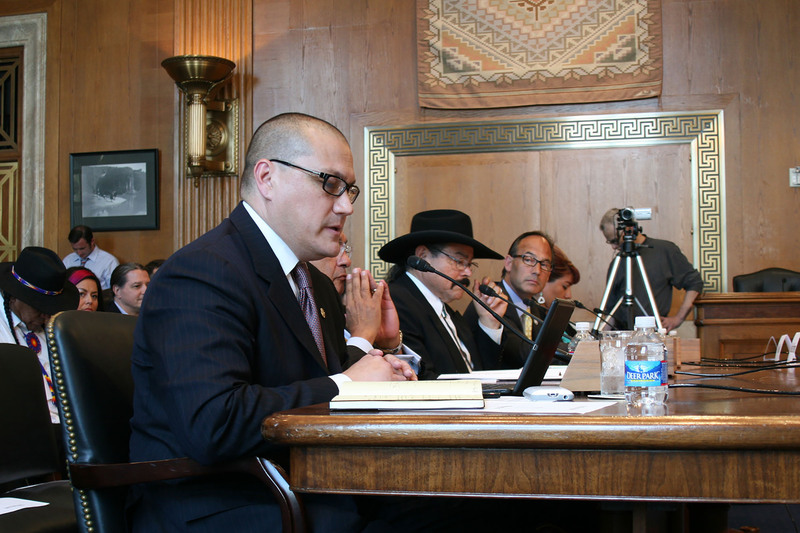 WASHINGTON – A Mesa executive told a Senate panel Wednesday that there is plenty of opportunity for economic development in Indian Country, but not enough investment to make it happen. 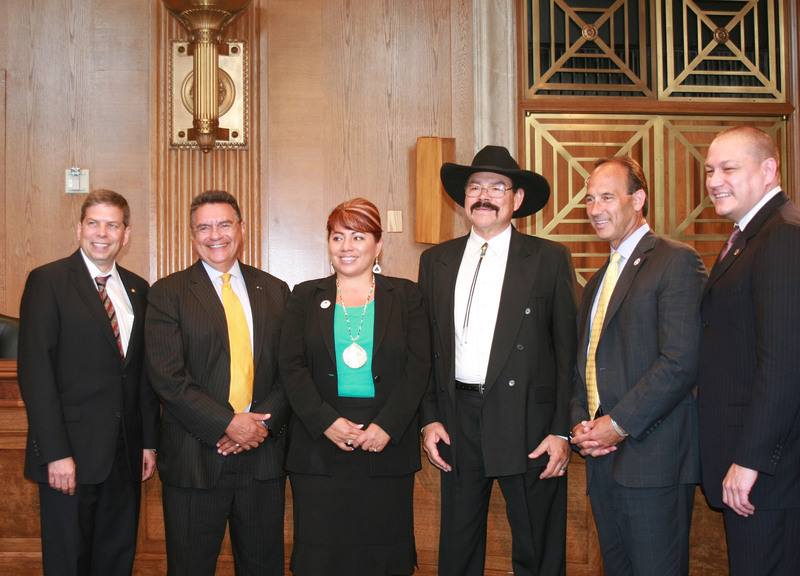 Gary Davis, president and CEO of the Mesa-based National Center for American Indian Enterprise Development, was one of several witnesses at a Senate Indian Affairs Committee hearing on the importance of encouraging investment on tribal lands. Other panelists agreed that access to financing is key to boosting economic development in Indian Country. “Native communities all across the nation continue to face extraordinary economic challenges that limit access to capital,” said Dennis Nolan, acting director of the Community Development Financial Institutions (CDFI) Fund. Nolan said a 2001 survey by the fund found this poor access to be one of the key reasons for the lack of economic opportunity in native communities. The federal fund is supposed to help reverse that trend, by investing in nongovernmental entities so they can serve low-income communities that lack access to affordable financial services. But the CDFI Fund itself came in for a fair amount of criticism Wednesday from other witnesses and lawmakers. Sen. Jon Tester, D-Mont., and chairman of the committee, pointed out that none of the current 68 Native CFDIs have been awarded program funds in the last two years. 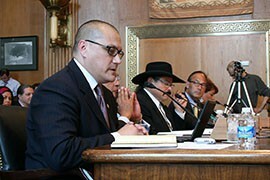 Nolan attributed that to both a lack of funding and a lack of awareness about the program in native communities. He insisted that the fund is working to expand outreach to help native CDFIs apply for and win awards. But he added that if more groups become eligible for awards, the program will need more funding. “The need within the Indian Country far exceeds the amount of resources that we have available at the current time to fund those,” Nolan said. But a lack of applicants does not mean that organizations in Indian Country lack economic potential or interest in doing business, Davis said. “We serve as an example of the entrepreneurial spirit and self-sufficiency that we encourage to our American Indian enterprises and entrepreneurs,” Davis said of his nonprofit organization. He emphasized the need for adequate federal funding and for more business development programs specifically aimed at companies in Indian Country, especially programs that provide technical assistance to users of federal programs. Kevin Allis, executive director of the Native American Contractors Association, said tribal communities are hindered by the fact that most are in very rural, remote areas, far from major cities. “These communities desperately need resources to continue to flow into those areas so they can achieve self-determination and a way of life that the rest of our country is able to experience in this great nation,” Allis told the committee. Gary Davis, president and CEO of the National Center for American Indian Enterprise Development, said there are opportunities for development in Indian Country but challenges in getting funding to make projects happen. 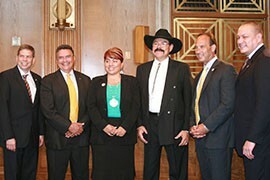 Sen. Mark Begich, D-Alaska, poses with panelists after the Senate Committee on India Affairs hearing on econmic development in Indian Country.